There is no limit to what you can earn in our company. How far you go and what you earn depends on your efforts. 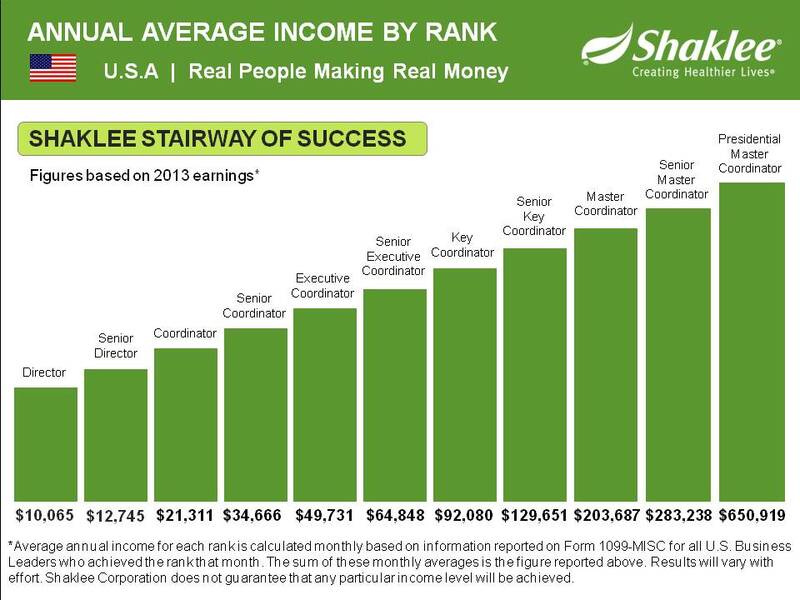 The top Distributors in Shaklee earn over a million dollars a year. Distributors in the Master Coordinator rank (the top rank in our company) enjoy average incomes of over $222,600 a year (based on 2003 1099-MISC). *Earnings will vary with effort. Shaklee does not guarantee success or that any particular level of earnings will be achieved.